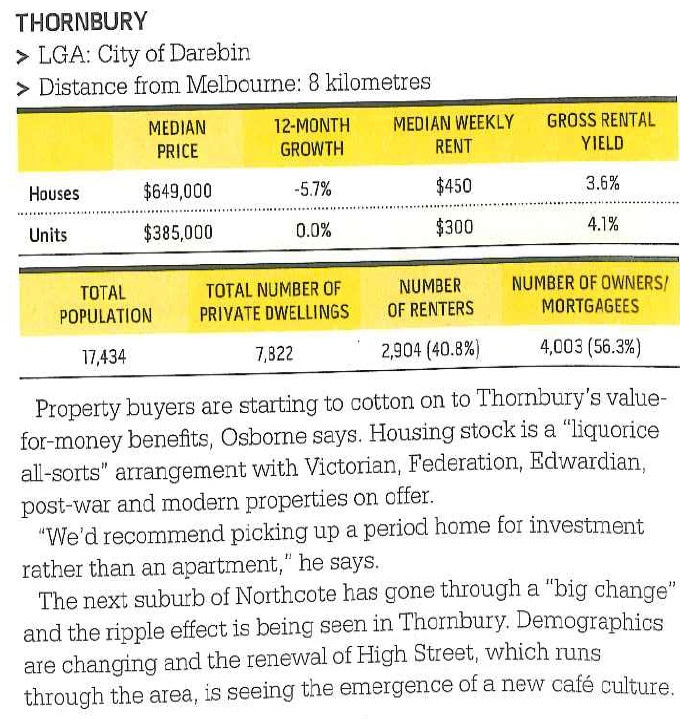 Gentrification in Coburg unwittingly on the front page of the Age today. Who do projects like Better Block ultimately benefit? This is the story of the creation of a streetcar from desire. In the Texas city of Dallas, Jason Roberts was looking at ways to reinvigorate his ailing neighbourhood of Oak Cliff. It was, says Roberts, considered a bad part of town. Oak Cliff used to have a streetcar service, once running over 32 kilometres of track. In 1956, the trolley bells fell silent, and the tracks were covered with asphalt. That, it seemed, was literally the end of the line. But Roberts, an IT guy by day, saw the potential of what a streetcar service could mean for Oak Cliff. He created a website for the Oak Cliff Transit Authority, with a mission to fire a debate on the return of the streetcar. Initially, the authority had a membership of one: Roberts. But that’s all it took. The local paper did a story, generously if inaccurately referring to Roberts and his supporters. The power of one soon became many, as people – including a civil engineer and a streetcar specialist – came forward. A non-profit organisation was formed, followed by a pitch for a grant for federal government funding. The odds of success were slim. Yet the government was looking for projects that reconnected workforce housing to business areas. It liked the Oak Cliff streetcar idea to the tune of $US23 million ($24.3 million). Work has started, and streetcars will be back on the rails in Oak Cliff next year, for the first time in almost 60 years. Roberts wanted to start a conversation: ”Why did we take this out? If it was so important to our development, is there a way for us to bring it back?” The answer was a resounding yes. The streetcar dream is just part of the story for the 39-year-old Roberts. He has long moved on from his IT career and, with co-founder Andrew Howard, leads the Better Block movement, now spreading across the world, including to the streets of Melbourne and Sydney. The Better Block movement is part of a whole new approach to transforming unloved areas that have been neglected by the official channels of government and hamstrung by ordinances and planning processes. 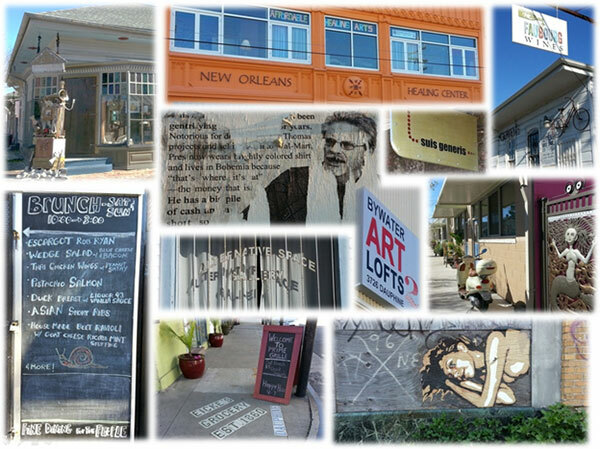 In essence, it is a grassroots movement, where locals step up and seek to improve the area where they live. A driving principle is about ordinary people showing the potential of what could be through temporary projects. 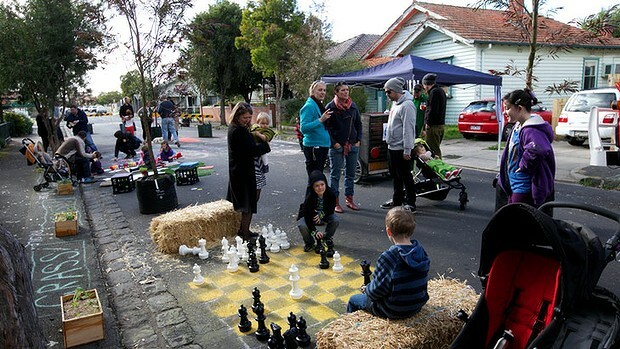 Last weekend, two streets in Melbourne and Geelong were transformed by locals as Better Block ”pop-up” demonstrations. In Coburg, an unloved section of High Street was closed off and became a place of trees, astroturf nature strips and street chess. In Geelong, Little Malop Street was filled with vegie boxes, community-built furniture and art installations. A Better Block is planned for Sydney’s Clovelly in October. It’s about showing what could be, and hopefully, bringing about permanent improvements to an area. The Better Block idea started getting attention in Australia earlier this year, when Andrew Howard was brought out by the Sustainable Living Festival. He drew enthusiastic crowds on a speaking tour of Melbourne, country Victoria and Sydney. ”We knew there was this great concept emerging in America, and it hadn’t really surfaced in Australia,” says Liz Franzmann, who managed the tour. Franzmann, who works as a community organiser, has been volunteering with the Better Block movement, and was one of a group of friends behind the Coburg Better Block last weekend. ”Better Block for me is essentially using that notion of a street party, but with a change agenda,” she says. Roberts was the star attraction at both events last weekend, and was enthused by what he saw. A common theme in both projects – and indeed the wider Better Block movement – is getting people connected. ”You can’t get physical change until you have the community really buzzing, talking again,” he says. The movement is generating interest in Australia among planners who can see the potential. After speaking in Melbourne this week at a conference on liveable cities, several approached Roberts to learn more about the movement. Roberts also spoke to an inner-city arts group about creating their own Better Block project. 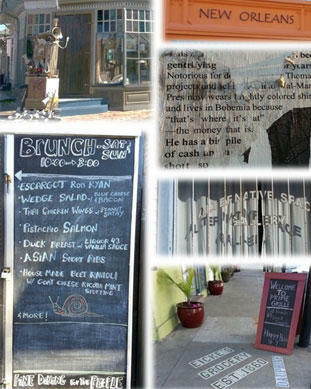 It all began for Roberts back in 2005 in the ”blighted” streets of Oak Cliff. His first project was the dilapidated Texas Theatre, a grand picture palace opened in 1931. The theatre, of course, was best known as the place where Lee Harvey Oswald was arrested after the 1963 shooting of president John F. Kennedy. Police descended after a report that a man had entered the theatre without a ticket. The history of the Texas Theatre was chequered from that notorious moment. Locals, explains Roberts, tried to run away from that legacy. A non-profit group was trying to raise funds to restore the building, but they needed millions. Roberts loved history and old buildings. ”I wanted, for selfish reasons, just to see it, get inside and experience the space,” he says. ”But I also wanted others to, too. I wanted something to happen and I knew that I wasn’t a developer with millions of dollars to fix the problem. But what could I do? Well, I could bring people to the equation. That avenue was the Art Conspiracy (referencing the ”Who shot JFK?” conspiracies), where 100 artists were brought in and given canvases. The next day, their works were sold at auction for charity. His aim was to get energy and life into the space, to ”let people see what could be”. The idea worked, and almost a decade on, the Texas Theatre is now loved again, a bustling place that shows independent films. While he was researching the streetcar project, he noticed that cities with streetcars also had a transport system that included many modes, including robust bicycle programs. Roberts loved the cycling culture – even though he didn’t own a bike. He organised a bike ride. The theme was less about high-speed recreational cycling, and more about local cycling, riding to your local grocery store. He was expecting 20 people that Sunday morning. As he nervously rode off, he had 150 riders behind him. The man who wasn’t really a cyclist was suddenly their leader. Roberts says it taught him the need for people to stand up. Those 150 were ”waiting for something like this to occur, and they were waiting for someone to champion these things: we need more of these social bike rides, and we need more of this infrastructure. Then came the first block project in Oak Cliff, which has become something of a template for the Better Block movement. A vacant, underutilised and unloved block was chosen. Typically, says Roberts, the places around the world he loves are only a block in size. Initially, the approach was a form of urban guerilla tactics – go around the planning process and just do it. ”My thing was, how do I bypass that, just to give people the experience of the block I have in my brain, which is that place where people sit down outside, drink a cup of coffee, listen to music, maybe outside,” says Roberts. These days, cities and planners are hiring Roberts and partner Andrew Howard to work on projects with the community. The old approach involved consulting the public through abstract conversations at town halls, and Photoshop renderings of what is planned. ”Our idea was to take that same energy and time you’re putting into that, and just transfer it onto an area that has a problem,” says Roberts. What started as an unsanctioned exercise is now getting official backing. Roberts says the role of officials is to ”clear the stage”, cut through the bureaucracy and allow communities to innovate on a temporary basis. This is what happened in Coburg and Geelong last weekend. Coburg High Street resident Jules Martin, a landscape architect, was one of the instigators. He and his partner moved from a beautiful, nature-stripped Northcote street 3½ years ago to a Coburg street where asphalt covered the strips, and trees struggled to grow through postage-stamp cut-outs. ”I’ve been calling it the poor cousin or the ugly duckling of the neighbourhood,” says Martin. But not last Sunday, when it was a street transformed and brimming with potential. About 300 people came to High Street, some from across town who came to see a Better Block in action. The top-down element was also there, with Melbourne Water demonstrating and giving away downpipe diverters and the local council invited. Remember how the creative class of writers, artists, urban cheesemongers, professional tricyclists, novelty button manufacturers, food truckers, and artisan mustache-growers was supposed to supplant crumbling blue collar industries in economically stagnant cities? Remember? Well, according to Richard Florida, the editor-at-large for The Atlantic Cities, the creative class was totally going to work all those miracles, propping up cities like Detroit and Cleveland with pale, keyboard-cramped hands. It’s just that, um, well, that’s not at all what has happened. Joel Kotkin, one of Florida’s sternest critics, sounded off (a little too gleefully) on the creative class’s many economic failures today in the Daily Beast. It’s been a trendy line of thinking over the last couple of years among urbanists, journalists, and academics, explains Kotkin, that an influx of “hip” young residents into urban areas would benefit those areas. The new arrivals would help build wonderful little independent bookstores, coffee shops, and tapas restaurants. Everyone would prosper as a result of such glittering monuments to urban hipsterdom — property values would go up, downtrodden blue collar workers would be enlightened, and there would be locally sourced produce for everyone. The only hitch in all this optimism, as Kotkin notes here and others like Tulane sociologist Richard Campanella have have noted elsewhere, is that all these wonderful new creative class businesses benefit only one group of people: members of the creative class. In his thesis about the rise of urban creatives, Florida pointed to cities like San Francisco and Seattle as bastions of highly-educated, creative residents. 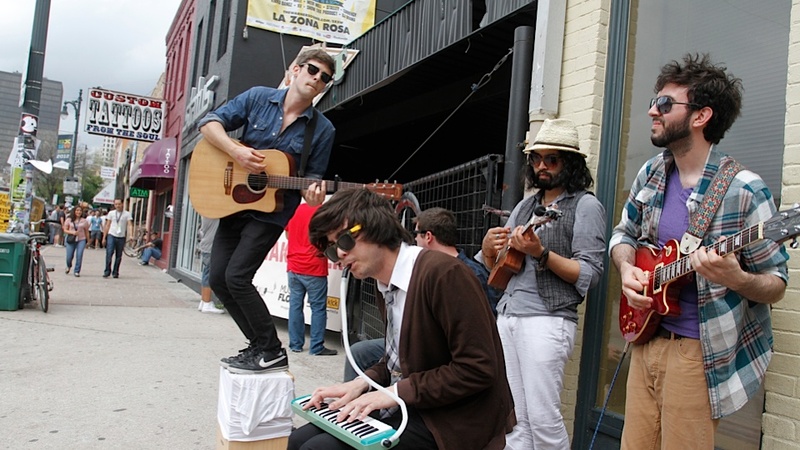 With just a few more bike lanes and liberal arts majors, El Paso, for instance, could become a bustling hub of creative activity and not merely a glorified urban hipster playground. For Rust Belt cities, notes Cleveland’s Richey Piiparinen, following the “creative class” meme has not only meant wasted money, but wasted effort and misdirection. Burning money trying to become “cooler” ends up looking something like the metropolitan equivalent to a midlife crisis. 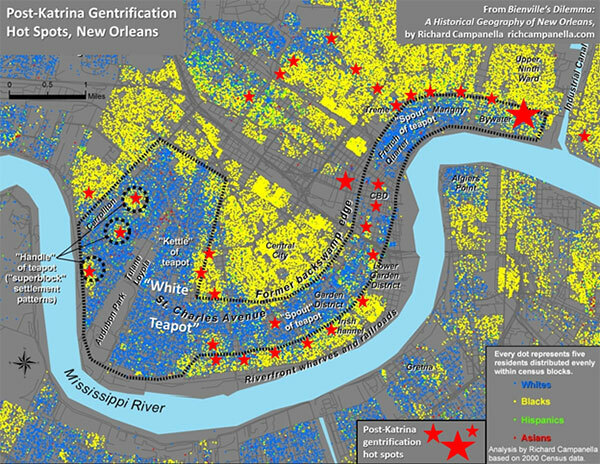 The frontiers of gentrification are “pioneered” by certain social cohorts who settle sequentially, usually over a period of five to twenty years. The four-phase cycle often begins with-forgive my tongue-in-cheek use of vernacular stereotypes: (1) “gutter punks” (their term), young transients with troubled backgrounds who bitterly reject societal norms and settle, squatter-like, in the roughest neighborhoods bordering bohemian or tourist districts, where they busk or beg in tattered attire. Blitzkrieg cultural imperialism allows previously under-Instagrammed areas of our city to fulfill their potential as playgrounds for the rich without the headaches of investment or community engagement. Never mind having a Starbucks on every corner-when your favorite high-concept boutique eateries can chase you around on wheels, you can go absolutely anywhere and still get the same $12 bacon and wheatgrass smoothie. There’s a lot of anger in that paragraph, but there’s also strong ray of righteous truth — the privileged 20-somethings of this country are imposing an ironic brand of cultural homogeneity on the “authentic” urban neighborhoods they flock to. 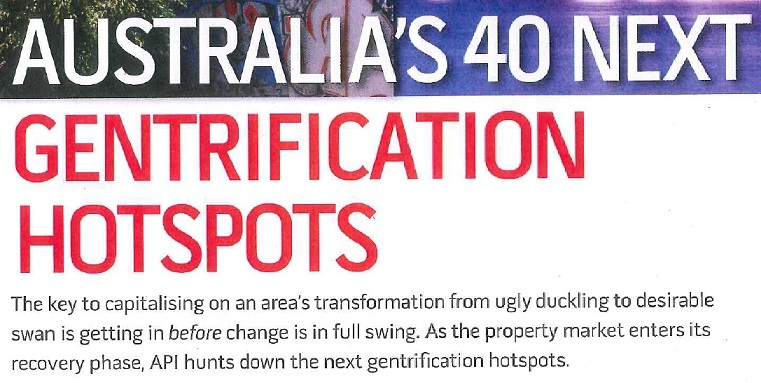 Check out this fantastically rank run-down on gentrification’s up-and-coming conquests in Australia from Australian Property Investor Magazine.